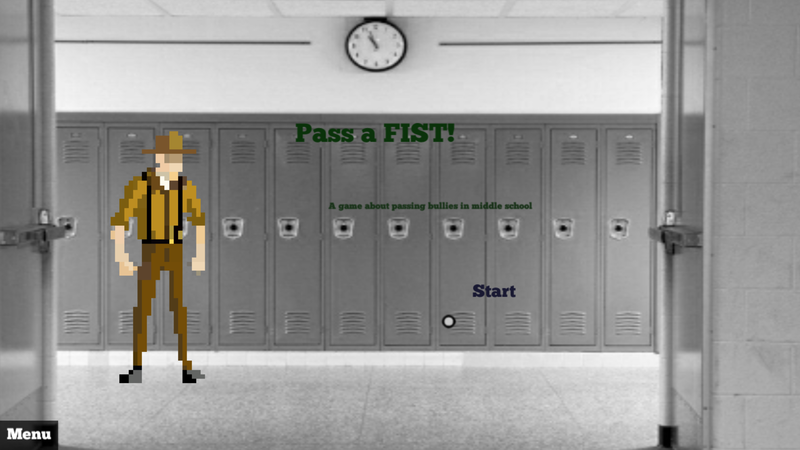 This is a short humorous game about passing bullies in middle school. Make good choices and you'll get to class. Make poor choices and you might get pummeled. 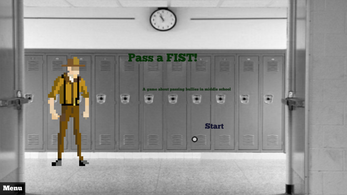 We all remember how awkward middle school was and this game is a little homage to that as well. It's a classic point-n-click adventure game type of game play. 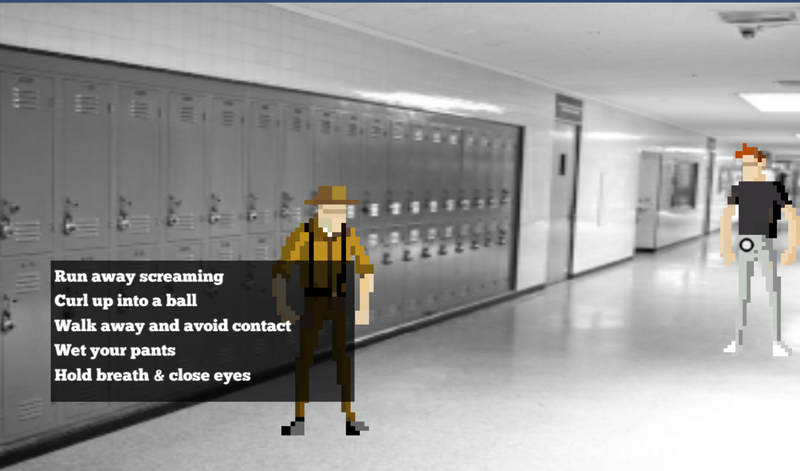 It was created in under 48 hours for the Utah Indie Games Jam, and I used Unity with the Adventure Creator plug-in. Hope you enjoy it! 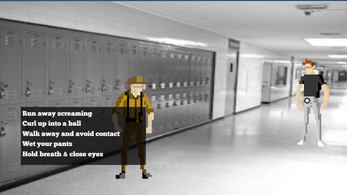 NOTE: Even though this is a humorous take on the subject, "bullying is not a game"! See these sites to help stop bullying.